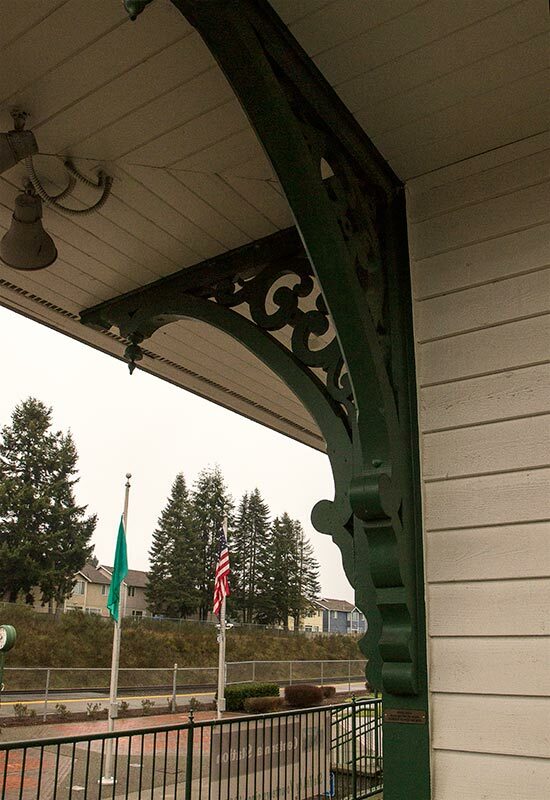 You are looking at some lovingly restored, turn of the (19th) century corbels spaced on the corners of the Olympia-Lacey Amtrak station. How do I know they are “corbels”? Because the sign says they are “corbels”. Actually the word jangled a hardly-ever-used synapse formed in my art history days. So dusty was the memory that I had to look it up. According to the Apple dictionary a corbel is a projection jutting out from a wall to support a structure above it. — Makes sense. Another useless bit of information revitalized. 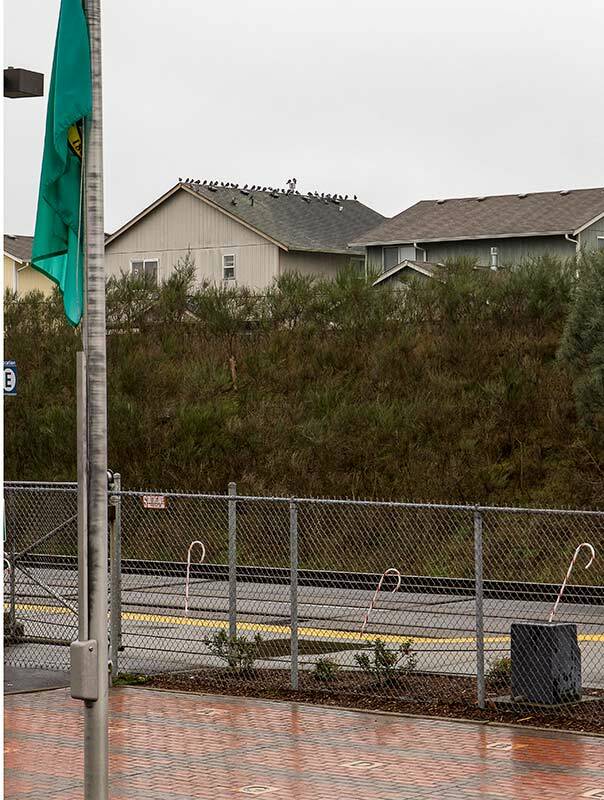 Two things about this little gem of a railroad station: It is run by volunteers, people who really love trains. They seem to love helping clueless travelers like me. And they seem to love things like cheering, describing to each other, and counting aloud how many cars on a freight train from Canada. Two things I have noticed in my short stay in Washington: Maybe it is the influence of the neighboring Canadians, but the people we have met have been kind and generous. For example, the Mysterious One – who is a little short of his sell-by date — and a friend of similar vintage were unloading some heavy particle board sheets in the alley by our back door and causing a blockage in the thoroughfare. A “youngster” drove up in a pickup truck. Now, where we come from there would have been some honking, maybe a rude finger or two, and scornful disapproval. But this young man got out of his truck and asked to help load the wood. He made himself useful, then he drove on. I had similar experiences. And while shopping for our supplies, we received info and assistance from all ages and colors of knowledgeable sales clerks. Nary a surly one among them. We were amazed! We have heard funny turns of phrases. One that stuck was by a man who disapproved of the design of a car. “It looks like an upside-down up”, he said. So, the people, while generally conservative in this area, seem to be people we will like and want to work with. But all is not choruses of angels, even in Port Angeles. There is homelessness and heroin addiction in my new neighborhood. And the seagulls aim with devastating accuracy. I climb aboard and begin the trek home, with plenty of time to ponder the imponderables, like why do all the pigeons sit atop one house and avoid all other roofs in the neighborhood on this rainy day? PS At the moment of this posting the train is stopped. I hear the conductor announcing “we have the situation under control”. That is comforting, I guess. There are people with walkie-talkies. HMMMMM.